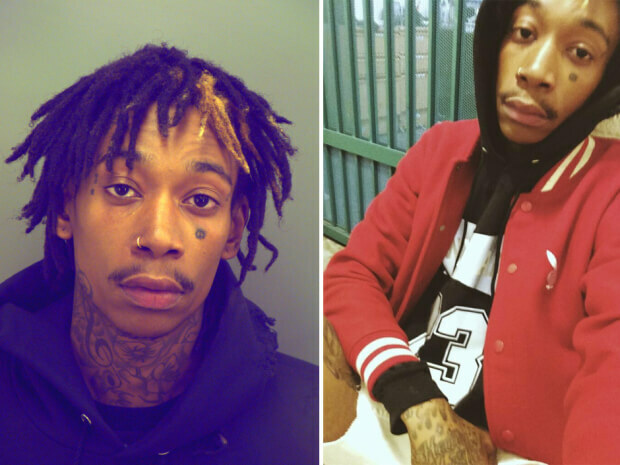 Authorities say rapper Wiz Khalifa has been arrested in West Texas for marijuana possession. The performer from Cannonsburg, Penn., was stopped after walking thorough an airport security inspection checkpoint at the El Paso airport. A statement from El Paso police says because Khalifa, born Cameron Jibril Thomaz, travelled without identification, a search was ordered and Transportation Security Administration agents found a canister with marijuana. TSA alerted police, who then arrested Khalifa.